1. Your post must go live between 00:00:00 GMT on Tuesday the 8th of February and 00:00:00 GMT on Wednesday the 9th. 2. Your blog post has to link back to the hosting blog and the link must be anchored from the logo (the blue one shown at the top of this post) which must also appear at the top of the post. 3. If trackbacks won’t work properly then please leave a comment below so that your post is accounted for in the roundup. 1. Advertise! Include a reference to T-SQL Tuesday in the title of your post. 2. Tweet! Use the hash tag #TSQL2sDay to follow links and other relevant conversations. 3. Host! 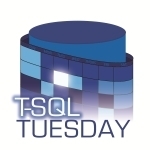 Consider hosting T-SQL Tuesday yourself. If you’re interested let Adam Machanic Know. If you’ve participated in two T-SQL Tuesdays previously and you keep up your blog (blog monthly for the last six months) then he’ll put you in the rotation. Looking forward to reading through all the great submissions! This entry was posted in Tsql2sday and tagged tsql2sday, TsqlTuesday. Bookmark the permalink. Thanks for hosting Pat Wright . I like this topic “Automation”. Hi Pat, thanks for hosting, this is a great topic and I enjoyed participating! Here ya go! Hope this track back thing works. If not, please let me know! Here is my entry just in case the trackback doesn’t work correctly. Thanks for another great topic! Here is my entry. Here’s my post! Thanks for hosting. Hey Pat – Awesome Topic! Thanks so much! Here’s mine for this month, thanks! Here is one more for you Pat. Good Question. Trackback probably failed because I forgot to link the logo back to here when it first published. Whoops! Woot! Two T-SQL Tuesdays in a row for me! Here is mine in case the trackback is unsuccessful. Looks like the trackback didn’t work so here’s my link. I might be late on this, but I wanted to share anyways!